Consider the great composers in jazz: Charlie Parker, Thelonious Monk, Duke Ellington, Frédéric Chopin ... Chopin? He might not have known it, but with great chord structures and gorgeous melodies, Chopin has become a favorite of jazz musicians. 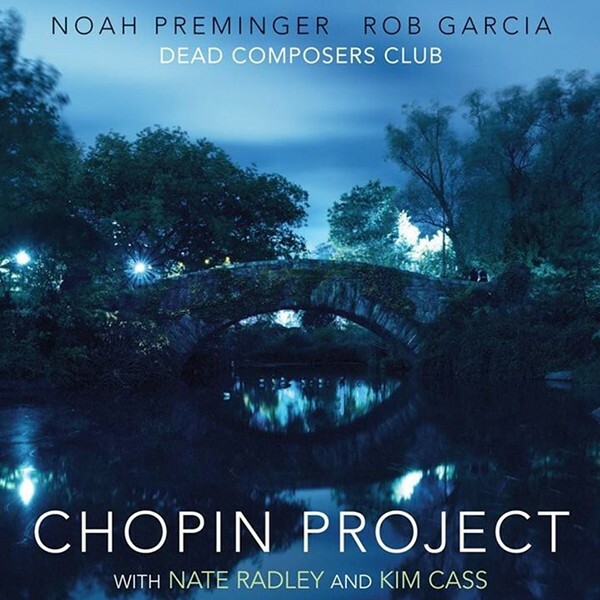 The latest evidence is Noah Preminger and Rob Garcia's "Chopin Project." Preminger is a fast-rising young saxophonist and Garcia a first-call drummer on the Brooklyn jazz scene. They are joined on this project (part of the "Dead Composers Club") by two excellent musicians, guitarist Nate Radley and bassist Kim Cass. When I first listened to this album, it sounded like a straight-ahead set, with great heads and adventurous improvisation. Then I created a playlist with all of Chopin's original nocturnes and preludes positioned before each corresponding track (Rubinstein, meet Preminger!) and that was a revelation. Chopin, of course, was brilliant, but it is fascinating to hear where Preminger and Garcia take his compositions. There are so many highlights: the runaway bass and drum solo on Prelude No. 8, the varied guitar tones and solos throughout, and the saxophone taking wonderful rides on every theme.